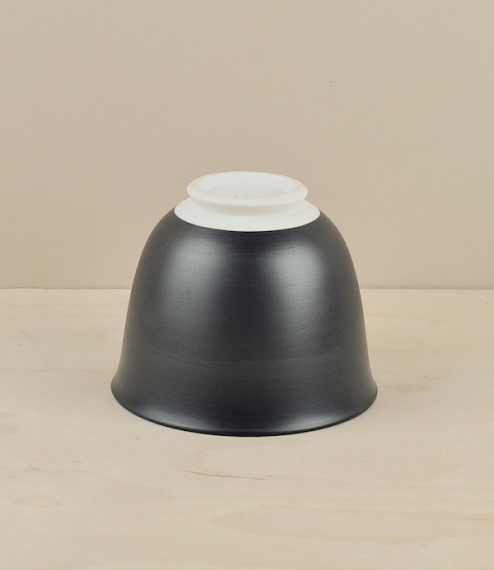 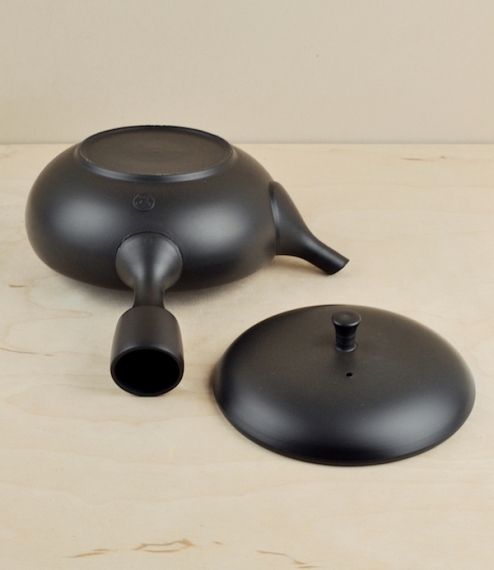 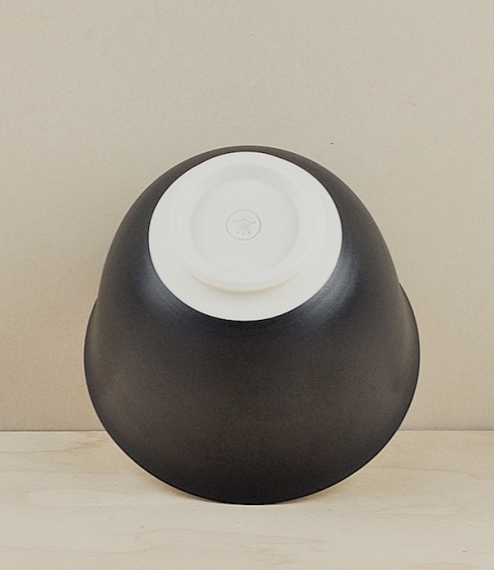 A simple interpretation of the classic flat Japanese teapot grown out of a collaboration between Oji Masanori, Susumuya tea-house, and Tatsuo Umehara, third generation potter at Hokuryu Kiln, who carefully turns each piece separately on a wheel, before assembling the parts and precisely fitting the lid. 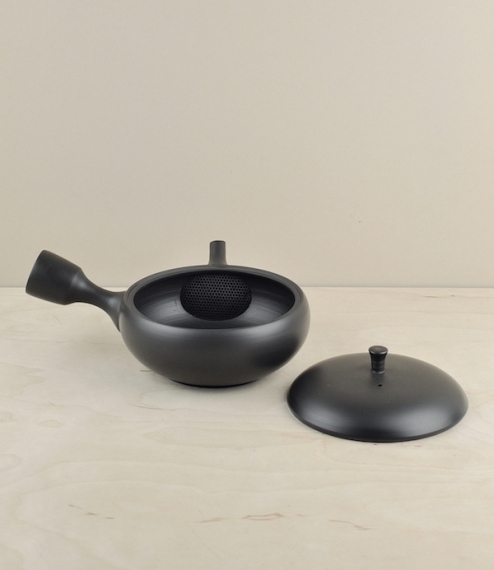 The teapots are left unglazed, the colour developing during firing as the surface of the red Tokoname clay turns a deep even black - a porous finish which will develop and change over time. 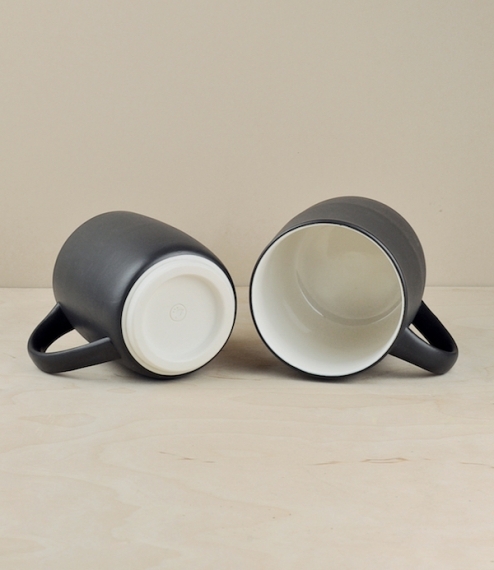 About 200mm by 120mm, and 70mm high. 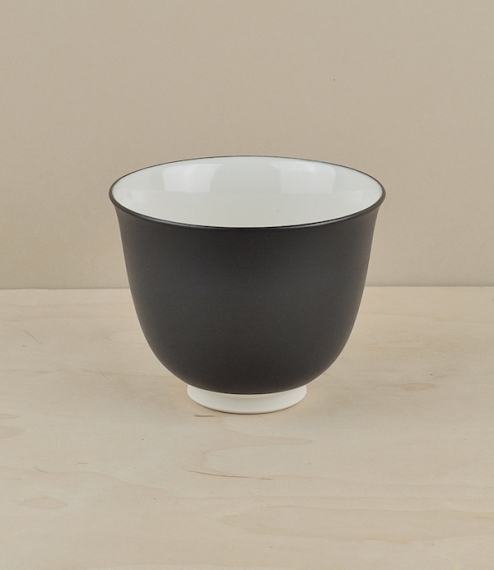 The tea cups and mugs were again developed in collaboration between Oji Masanori and Susumuya tea-house, this time working alongside Imamura Hajime of Imamura Porcelain, Arita, Japan. 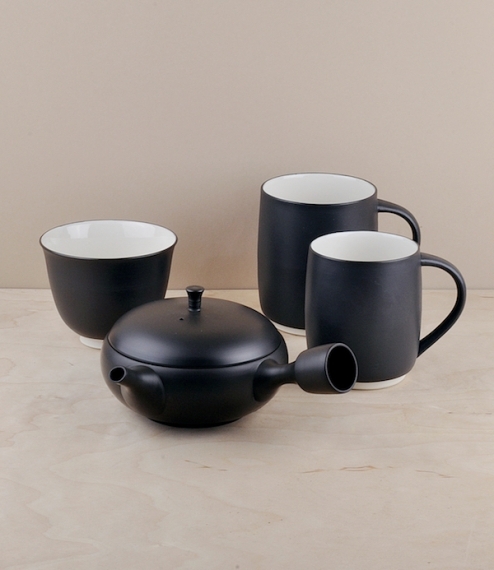 Made of Amakusa Touseki - porcelain stone mined from the mountains of the Amakusa region, the interior carries a simple clear ash glaze, whilst the outside has a finish called ‘kuro-gosu’, being left with a red iron underglaze which turns a deep even black on firing like the teapot, a porous finish which will develop a unique lustre with use and time. 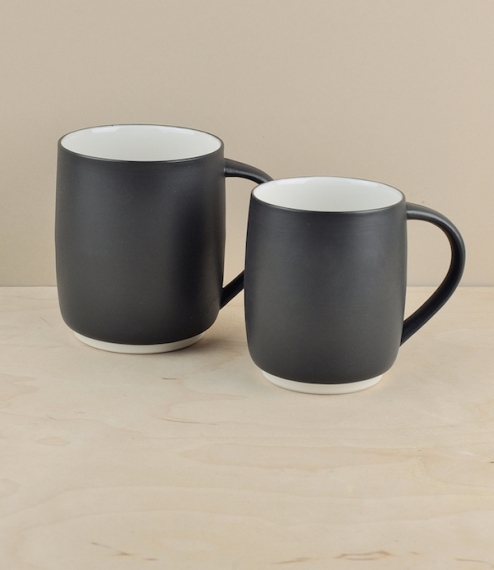 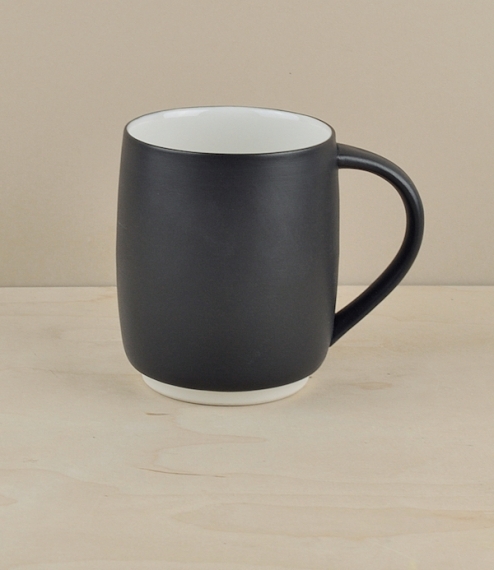 The cup measures approximately 95mm diameter by 78mm high, small mug 105mm by 900mm and the large mug 115mm by 100mm.